My daughter is up to date for all her shots. We don’t have insurance, so I forked over the money on my own. As soon as my daughter’s pediatrician mentions a needed vaccine, I tell him to move forward with it. Obviously, I’m on the side of parents who get their kids vaccinated. It’s also my opinion the non-vaccination of kids is bad parenting. Vaccines for Children (VFC) is a federally-funded nationwide program that provides free vaccines to doctors and clinics that serve low-income or uninsured children. To be eligible for the program, your child must be less than 19 years old, and must be Medicaid eligible, uninsured, underinsured, Native American or Alaskan native. If your child meets one or more of these criteria, you can get his or her vaccines from any VFC program-enrolled doctor or clinic at no cost. Unless you’ve had your head in a hole for the past two years, you know that the anti-vaccination movement is dead. 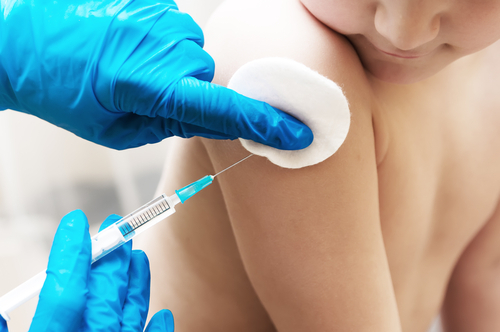 Educated parents know that they must give all the updated shots to their children so to keep their immune system optimized in the event they are exposed to a targeted virus. It will prepare the troops of antibodies against the virus. Simply put, it builds up an effective wall to prevent the specific illness from happening in the future. On the other hand, there are parents who think that vaccines are nothing more than scams. They are under the impression that the industry is full of money-hungry scammers who are using vaccines to leech money from parents. While it’s true that vaccines are expensive, they are also very expensive to produce. 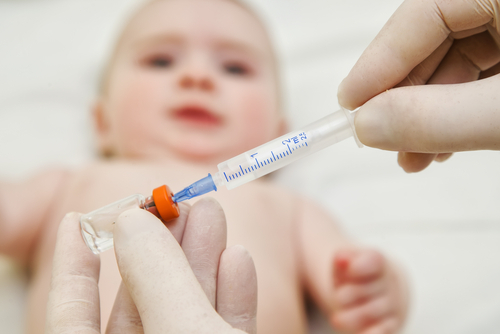 There are testing, storage, transportation and other fees associated with the vaccinations. You’re basically paying for your child’s health. Personally, I wouldn’t want to put a price on that. Think of it this way. You’re investing on your child’s health, which will help avoid future expenses. If you think vaccines are expensive, try computing how much you’re going to pay if your child gets sick. Immunizing your child will save your family a lot of money in the future. Vaccines have a proven history of working. Just to give you an example, around half a million cases of measles were reported just in the US alone back in 1962. After a decade, there were only around 32,000 cases. You want to know what happened? The measles vaccine was introduced. Before the turn of the new millennium, only around a hundred measles cases were reported. Is that a coincidence? I think not. I’m going to give you another example. Smallpox was once a dreaded disease around mid-20th century. Now, it’s wiped out. Why? It’s because in 1967, the World Health Organization did a worldwide vaccination drive. The same thing applies with polio. Now, there are very rare instances wherein there’s no choice but not to immunize kids. For example, there are medical reasons as to why it’s not possible, like if the child is allergic to it. In rare cases, the vaccines simply don’t work. Your child’s pediatrician and a few specialists should be able to determine if this is the case with your child. Look, vaccines have wiped out deadly diseases. There’s a good chance that you don’t know anyone who died of smallpox. There’s also a good chance that you haven’t met anyone with polio. You’re also not concerned that your kid will fall victim to diphtheria and you don’t even know what that is. Why? It’s because vaccines have wiped them out. If that still doesn’t convince you to have your child vaccinated, can you really tell yourself that you’re a good parent?